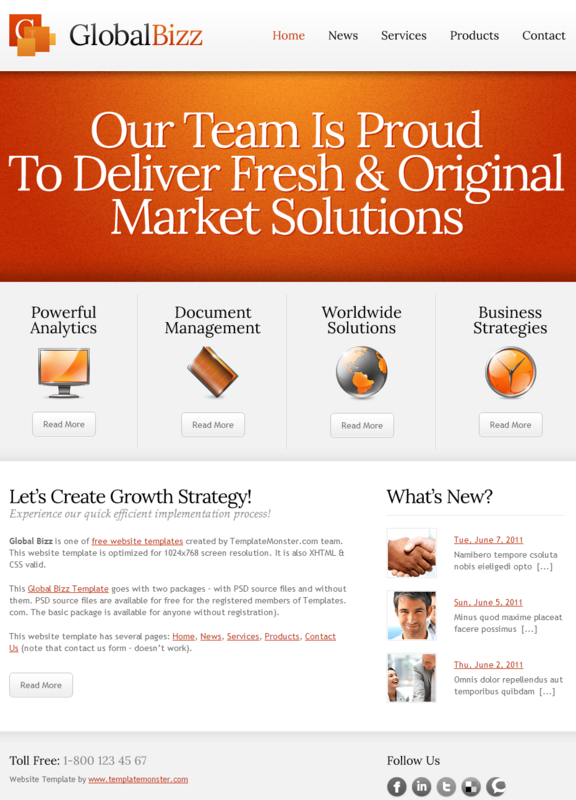 Global Bizz is one of free website templates. This website template is optimized for 1024×768 screen resolution. It is also XHTML & CSS valid. This Global Bizz Template goes with two packages – with PSD source files and without them. PSD source files are available for free.